Articulate,clean, deep 20hz and under brutal subwoofer. Shakes walls and rumbles floors but cleanly. If you are looking for a killer Sub for HT then you found the right sub. I picked this up on Ebay as a Refurbished product for $1900 shipped. The seller is "bajawaverunner". In any case, this sub puts out bass that will literally shake the room. Movies come to life in a profound way. It is visceral. It's only weakness is with music. It's not as tight as other subs I've heard and seems a bit sluggish. To be clear, it is a good music sub but an INCREDIBLE HT sub. The bass waves literally move throughout our house, and our pad is 6,500 sq/ft. Last, Def Tech needs to be more honest with their ratings. This sub will not drop to 14db. Mine hits 20 with absolute authority but begins to roll off around 17-18. 23 is, of course, about as low as you need. It's just that I want Def Tech to be upfront with buyer. Nonetheless, this sub comes with my highest recommendation for HT, and a good recommendation for music. Just got it today to replace a Paradigm PS 1000. Noted after watching the most recent Harry Potter movie that the PS 1000 was not keeping up with the impressive soundtrack. The improvement is dramatic with smooth, undistorted, extended bass of epic proportions, can't wait to watch more movies. Hard to believe that more money could buy more performance! does what a good sub should.makes you feel the base. as in most subs.please give us a remote control!! big powerful slam for a great price.hits hard,hits fast.this sub plays low and loud!i think it's 11htz rating is stretching it.it is attractive and heavy.heavy is never a weakness.it usualy means a product was well built.i don'tsay a speaker is god 4 music or for theatre.if it's good a one it should do other.i really like this sub and recomend it for this price range. Gut wrenching bass. I cant use its gain past 40-50%. Unless of course I want to show off to the guys. Wife friendly. Doesnt take up much space and looks nice too. It is very sensitive to placement. Start with is at your sweet spot and crawl around till you find a perfect spot and if you can place it there. Unless you want ungodly bass just put it in the corner. The last subwoofer you will ever buy for HT. It is pretty accurate when it comes to music but can be a bit sluggish. I dont use it for music though. 90% of its use is for HT. Sustaining a flat response to 17Hz in my home @ 105db is plenty for me. The foundations roll like you would not believe. I do believe DefTech is the winner when it comes to HT. Many subs Ive auditioned could go low but not quite this loud. infinity 15, DD10, bose, and still one of my favorites the custom built Rythmik servo sub that is a good rival. That one stays in the game room. Compact, Heavy enough not to bounce around like some do. Also makes it nice for the spikes to dig in and really shake the floor. Plenty of power. Dont even use half of it unless I have friends over. But sure nice to know its there. Will kill all friendships with your neighbors. Endcaps scratch easy and sock just doesnt seem to go with a 1500 dollar product but oh-well. I would have to agree with the others on this sub. It simply puts the others to shame when it comes to HT. I still think it is a little sluggish for music but only a little. This thing will literally shake the foundation out from under you. I have looked for the right sub for a long time to intergrate into my HT and I believe I am finally done. Money well spent. Doesnt quite reach down to the 11Hz advertized but I measured in my home with room gain a whopping 104db @18Hz. If thats not good enough for you I dont know what is. 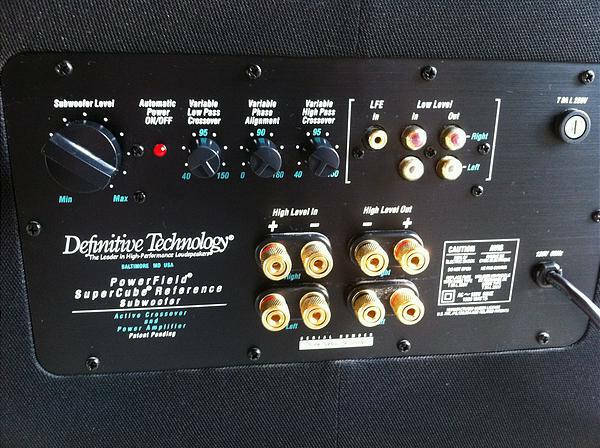 Velodyne DD15, Outlaw LF1, Yamaha, Custom built Rhthmik active servo which still can rival the DefTech believe it or not. This sub is extremely accurate for music and catches everything being played while it adds nothing that is not there. For Home Theatre be prepared to say over and over again "I didn't know that was there" and to be scared by the absolute power that it can belt out. It has knock-out punch power in my 14' X 27' X 8' high room, and can literally make the whole house MOVE!!!!!!!!!! I can honestly say that considering all of the connection options, the fit and finish of the end-caps and stocking style cover, performance and overall build quality, that I do not feel that this sub has any weaknesses. Not that it is a weakness in anyway, but do remember should you purchase the SC Reference it is indeed heavy and due to it's small form factor it can be a challenge to move, but this is a plus for me not a weakness as it screams build quality. You should also be cautious of the top piano finish, as I am sure it would sustain damage if abused, but it is very nicely finished. These again are not weaknesses just things to remember. I am posting here in hopes of helping those of you looking at this sub for a potential purchase. Since there is only one review you may be skeptical. Let me tell you right away this is an excellent almost scary powerful subwoofer. It is extremely articulate with music, and for home theatre it literally makes my 4" poured concrete floor tremble. I am on the second floor of a 2 story Condo in South Florida that is extremely well built (It has survived more than it's fare share of hurricanes) and this sub can easily make the walls throughout the condo shake and the floor tremble. Don't think I am saying it is a big BOOM box though. It is simply phenomenal for music. I am very aware of the SVS, HSU, Rocket, Axiom etc. brands but most of them require a significant amount of floor space that I did not have. This is a very compact sub for its' output capabilities and if you are looking for massive power without taking up a lot of floor space look no further, you will not find anything in this size with this kind of power for this price, end of story. This sub is extremely well built and heavy @ 111 pounds so be prepared to have a friend help if needed. It comes double boxed and well protected by Styrofoam fitted padding top and bottom as well as a cloth cover to protect the piano black gloss end caps. Another excellent feature is the inclusion of threaded solid feet that will allow you to adjust the sub to make it level should you , like me, have uneven tile floor such as Mexican tile etc. I auditioned this sub in the same room as a Velodyne DD-15. The Velodyne is roughly twice the price of the Supercube Reference. The Velodyne does offer the auto room calibration feature which is great, but listening to them both with the same material (about two hours worth) I could not at all justify the price difference, as they sounded nearly identical to one another. The Supercube Reference is, as stated before, extremely powerful. As a reference I love the Lord Of The Rings movies. In the opening scene of the first movie where the initial great battle is shown and Saurons' fingers are cut off and the ring falls to the ground, the low frequency THUD that is produced literally makes it feel as if my large couch moves and the floor quivers under my feet. This happens instantly and is gone, no overhang no continual boom just THUD. Then there is the sound wave that is produced as he is destroyed that goes out over the battle field and my whole condo simply groans at the pressure generated from this scene. In many other movies as well I have simply been blown away with the quickness and power of this sub for special effects. It is amazing that this sub can go from making no noise at all to making a 4" floor quiver with awesome awe inspiring power and then be completely gone again. I guess that is the most surprising thing about this sub for me. All of this and I have the Supercube Reference turned up a little less than halfway up on the volume/gain control. There are many things in movies that I never knew were there before I bought this sub. I had a Velodyne DLS-3750R before, which I thought was OK, but now after having the SC Reference in the house I realize that the Velodyne sounded weak and kind of hollow. Bear in mind this is a $500 sub being compared to a $1699 sub, so it is really not fair. Worth mentioning here is the magnet structure on this sub. It is a massive triple stacked design and I mean massive. Before my purchase I contacted Def-Tech customer service as I had some technical questions regarding this sub. Chet who works in customer service (Super, Super nice guy by the way) was extremely helpful and sent me a picture of the Supercube 1's driver. It also has a massive triple stacked magnet structure. He explained to me that the Reference is the same design but larger. The driver assembly (magnet structure and actual speaker cone) alone in the Supercube Reference weighs about 45 pounds. Now imagine the magnet is the "Engine" pushing the driver. That along with the 1800 watt amp makes for an incredibly mean sub. For music it catches every subtle nuance being played by the bass guitarist and the drummer. Drums are extremely tight and forceful if you crank up the volume, but the sub has the ability to play at lower volumes and still sound phenomenal. On some songs where the bassist really is going at it, my Velodyne used to just kind of smear everything together without having the distinction of each note, not the Supercube Reference it is as if you have the bassist in the room with you. Some bands, actually a lot now, feature 6 stringed bass guitars which can really play low, the SC Reference plays these notes with POWER. My old Velodyne simply could not do this. It had a strained sound and you could tell distortion was at work, even though it was supposed to be a distortion limiting sub. The sub has all of the connection options you could ask for LFE input for your receiver or Pre-Pro. High level speaker wire inputs and outputs with solid Gold plated 5 way binding posts. High and low pass cross-over dials as well as a variable phase dial from zero to 180. This is an extremely nice feature as a lot of expensive subs only allow you a couple of selections such as 0-90-180, if they after you anything at all. This phase dial allows you to make the sub and your main speakers seamless. Once it is properly dialed in it will make it seem as if the bass you are hearing is coming from your main speakers. Since it is completely adjustable you can really "Dial it in" which is not always possible with the predetermined 0-90-180 degree type of selections you may get with other subs. I hope I have said enough to convince you to take the plunge if you are considering it, you will in no way be disappointed with this sub even if you have a relatively large room. 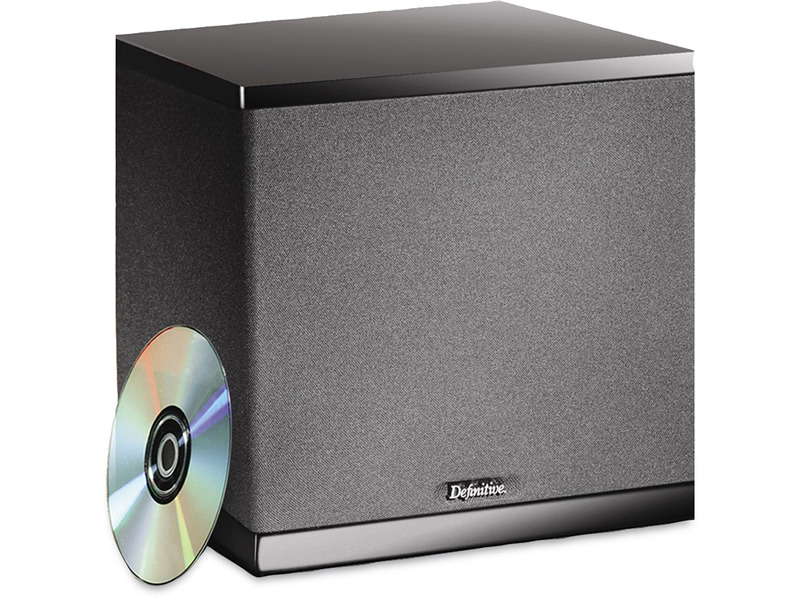 Good luck and enjoy the Supercube Reference, it is simply an outstanding subwoofer. Hats off to Def-Tech Customer Service. When I started looking for a SC Reference I called every dealer on the east and west coast of Florida all the way up to Daytona. None of the had the Reference, almost all of them had the SC1, but not the Reference. SO I called Customer Service and asked for some assistance. I spoke to a very nice and helpful lady who told me I should expect a call from a Regional Sales Manager soon, which to me meant in a couple of days. In less than half an hour I had a call on my cell from the Sales Manager telling me who to call and who to talk to. This impressed me to no end. Also Chet in Customer Support was extremely helpful as well, I had several conversations with him. He also told me the +/-3 on this sub is down to 18 HZ which I have since tested and found it to be true, I have gotten output that I could easily feel (You simply can't hear 15 Hz) @ 15 Hz. Also I would like to give a excellent reference to Bills Audio and Video in Vero Beach. Aric there as well as all of the other guys are simply SUPER. If you are within driving distance (They are a good 2 - 2 1/2 hours from me) you owe it to yourself to get to know these folks @ Bills. Before this purchase I auditioned many subs from Velodyne (DD series, SPL series) Martin Logan Descent (an incredible sub as well but out of my desired budget and a little taller than I wanted) B&W ASW825 & 855, Klipsch, Ariel etc. It is strong in all aspects. I wish it had a remote to make changes without having to move.